For the Lutheran Church, Ash Wednesday is a time of returning to God in humility and beginning the season of Lent. During Lent we remember and are honest about God’s faithfulness to us and remember how we are not always faithful in return. 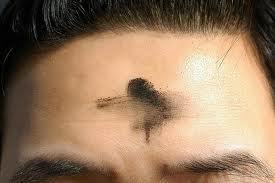 Lent is a reflective time, and full of extra spiritual practices like prayer and dedicating more time, or funds, to helping those in need.